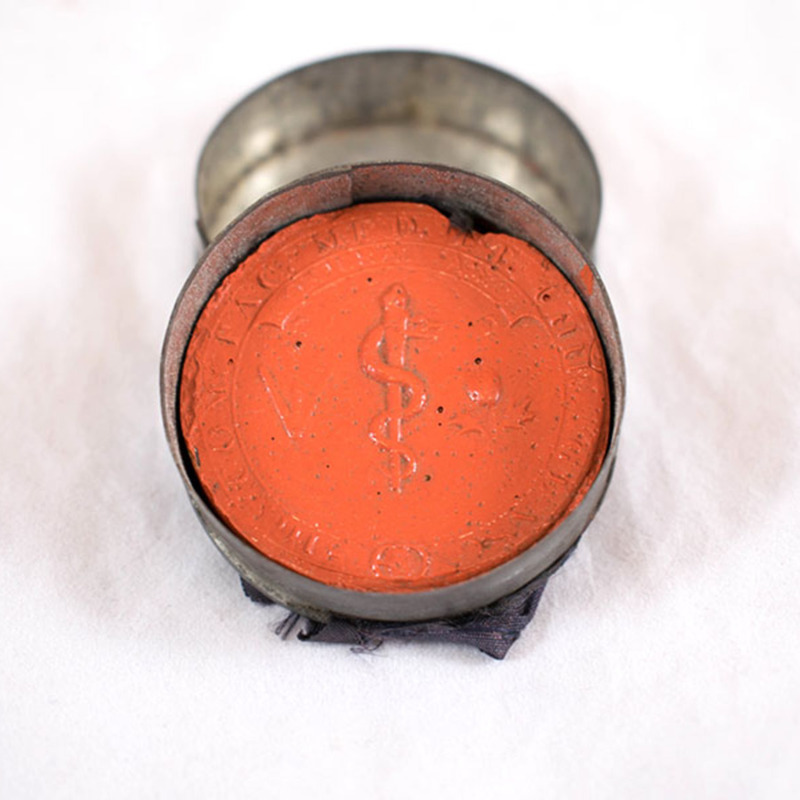 Seal impression, wax, in circular metal box, which represents the original coat of arms of the Faculty of Physicians and Surgeons of Glasgow. 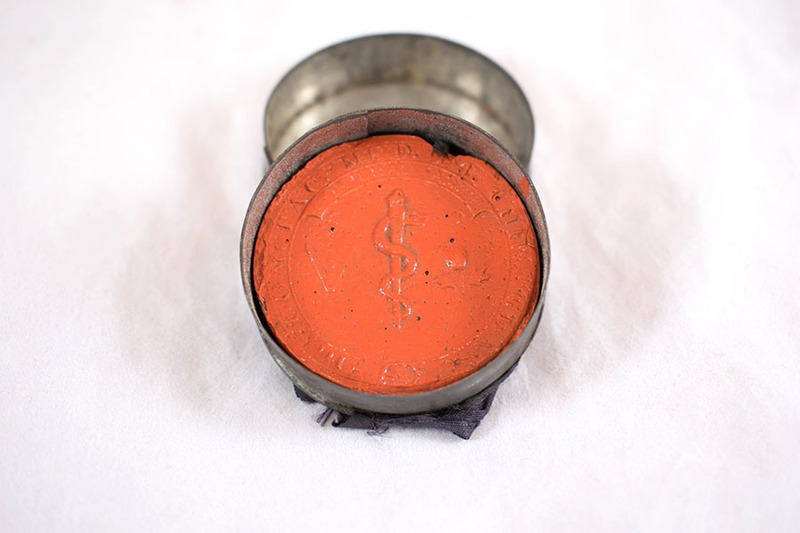 “Wax Seal Impression ,” Heritage, accessed April 22, 2019, https://heritage.rcpsg.ac.uk/items/show/549. Description: Seal impression, wax, in circular metal box, which represents the original coat of arms of the Faculty of Physicians and Surgeons of Glasgow.